Loving maintenance is required to keep this stack on a rounded boulder. Though this isn’t a stone wall, it’s an important part of bulk material culture, here called the Stone Domain. 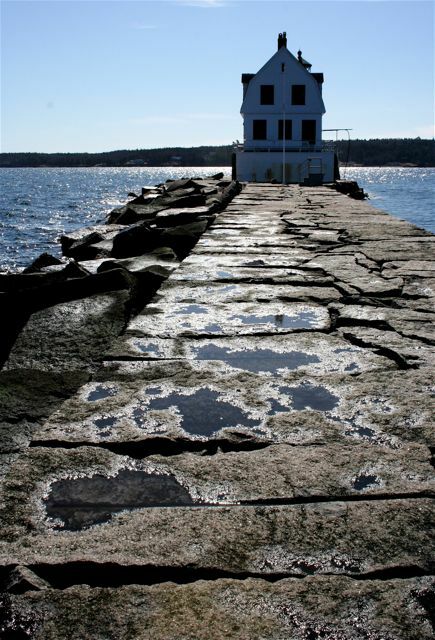 The MISSION of the SWI is to enhance rural New England’s sense of place by focusing public attention on its iconic signature landform, the historic fieldstone wall. Other icons, namely church steeples, town greens, apple orchards, and sugar maples are widely present elsewhere in the United States to the west, carried there by those who migrated westward during the late 18th and 19th centuries. 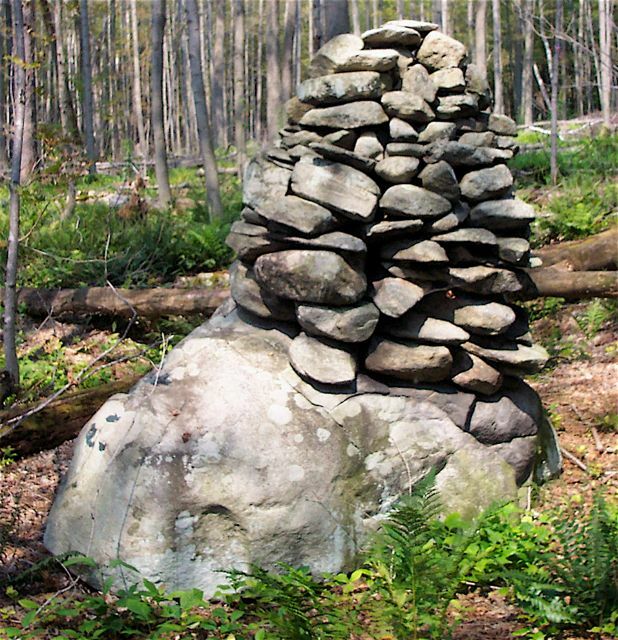 But the stone walls of that tradition were too heavy to carry, and the geologic conditions west of the Hudson River did not allow their widespread construction. The PEOPLE of the SWI are those who follow its website, attend its programs, and correspond with it coordinator. Generally speaking, they are an informal, self-identified coalition from all six New England states and beyond: property owners, town historians, conservationists, philanthropists, teachers, architects, scientists, cultural resource managers, and members of local land trusts, historical societies, planning committees, and gardening groups. The main ACCOMPLISHMENT of the SWI is heightened awareness of the importance of the historic stone walls to the regional cultural identity. This awareness has led to new state laws and town ordinances for the protection of historic stone walls. These successes have been featured by the National Trust for Historical Preservation and National Public Radio. Stone wall conservation issues have been followed by the newspapers at all levels, including international (International Herald Tribune), national (New York Times and the Washington Post), regional (Boston Globe, Hartford Courant, Providence Journal, Manchester Herald Tribune, Portland Press Herald), and local newspapers. Regional, and national magazine features, have backed the effort, for example Yankee Magazine’s the Stone Wall Defender. An increased supply of stone from primary sources such as quarries and excavations. Thanks to everyone for your hard work, and for paying attention to where your stone comes from. Finally, nearly one full generation of school children –here and there– have had a chance to pass through elementary school with Stone Wall Secrets in the their school libraries, and one of the teaching kits in their classrooms. In fact, at one time there was whole curriculum based on the book, on that integrated the sciences, reading, writing, and measurement. 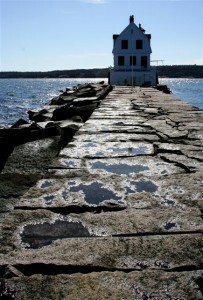 This jetty in Rockland Maine is a stone wall, though hardly the archetype rural farm wall.